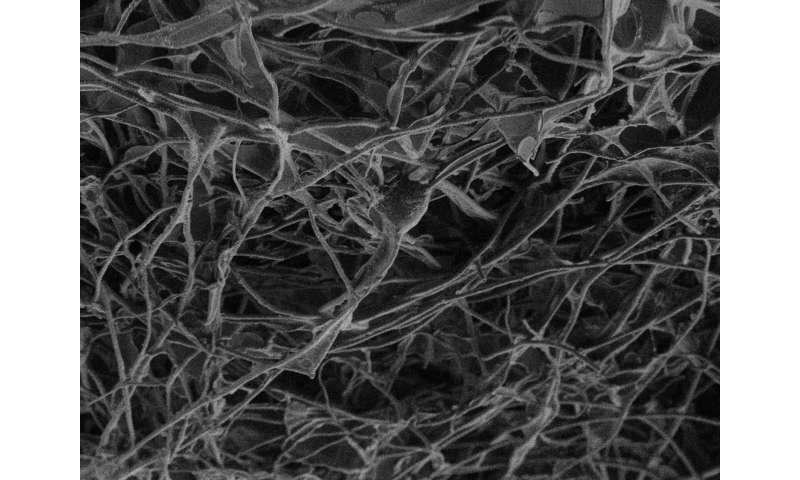 A new material made of carbon nanotubes supports the growth of nerve fibers, bridging segregated neural explants and providing a functional re-connection. The study, which was coordinated by SISSA in Trieste, also observed biocompatibility of the material in vivo, demonstrating that implanting it into the brain of small rodents does not cause large scars or a marked immune response. The study, published in Science Advances demonstrates that the material could be evaluated for prosthetic nervous system applications. "Under the microscope, it looks like a knotted tangle of tubes. It was initially studied for cleaning up spilled hydrocarbons in the sea," explains Laura Ballerini, SISSA Professor and coordinator of the recently published study. It was Maurizio Prato's intuition, however, that pushed them to investigate the possibility of applying such material to nerve tissue. The idea of developing the hybrids of neurons and nano-materials was the result of a long-term project and collaboration between Prato (University of Trieste) and Ballerini's (SISSA) groups. In the present study, Ballerini and her team first investigated the material's reaction to nerve tissue in vitro. "We explanted two spinal cord segments and cultured them together, but separated them by 300 microns," says Sadaf Usmani, a Ph.D. student at the School and first author of the study. "In those conditions, without any scaffolds reconstructing the space between the two explants, we observed growth of nerve fibers that extended in straight bundles in any direction, but not necessarily toward the other tissue. 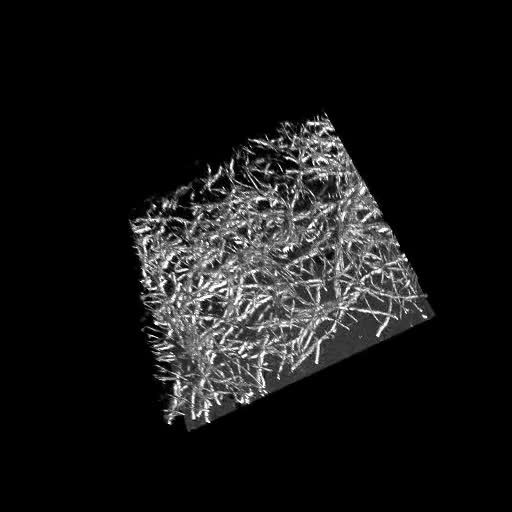 If we insert a small piece of the carbon sponge into the space between the two, however, we see dense growth of nerve fibers that fill the structure and intertwine with the other sample." "Observing fiber reaching the contralateral explant is not enough, however," points out University of Trieste researcher and one of the authors of the study, Denis Scaini. "You have to show that there is a functional connection between the two populations of neurons." For this, SISSA Professor David Zoccolan and his team were crucial. "With signal analysis techniques they had already developed, we were able to demonstrate two things: first, that spontaneous nervous activity in the two samples was actually correlated, indicating a connection, that was not there when the sponge was absent, and second, that by applying an electrical signal to one of the samples, the activity of the second sample could be triggered, but only when the nanotubes were present." The results in the lab were extremely positive. But this was not sufficient for Ballerini and her colleagues. "In order to continue to invest additional energy and resources to the study for potential applications, is crucial to test if the material is accepted by living organisms without negative consequences," says Ballerini. To perform these tests, Ballerini's team worked closely with SISSA researcher Federica Rosselli. "We implanted small portions of the material into the brains of healthy rodents. After four weeks, we observed that the material was well tolerated. There were limited scars, as well as low immune responses, and some biological indicators even showed that there could be positive implications. There was also a progressive invasion of neurons within the sponge. The rats were vital and healthy during the entire four weeks," says Usmani. "In conclusion," says Ballerini, "the excellent results encourage us to continue this line of research. 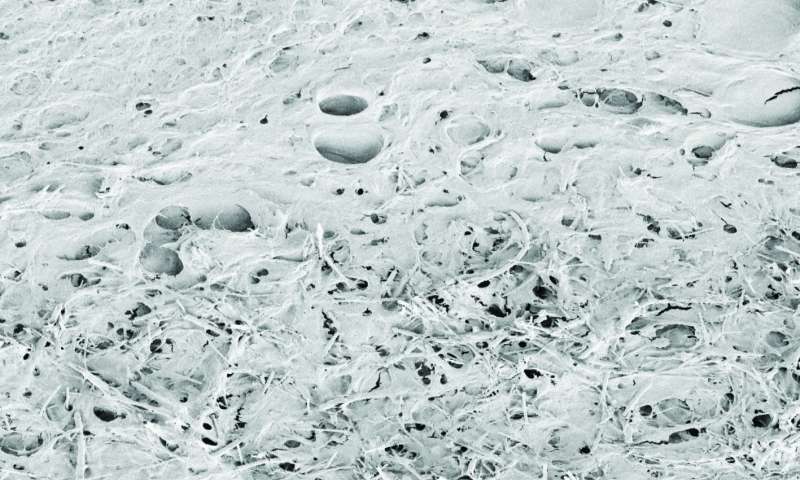 These materials could be useful for covering electrodes used for treating movement disorders like Parkinson's because they are well accepted by tissue, while the implants being used today become less effective over time because of scar tissue. We hope this encourages other research teams with multidisciplinary expertise to expand this type of study even further."